The Lord came and took Margaret Louise Daniel Wooderson Crews on Tuesday October 9, 2018 to be with Him and her loved ones after being cared for at Kansas City NorthCare Hospice House. Visitation will be Friday October 12, 2018 from 10:30-11:30AM at Park Lawn Funeral Home, 8251 Hillcrest Rd., with Funeral Services at 11:30. Burial at Floral Hills Cemetery. Margaret was the daughter of Ben & Wilma Daniel. She was born on April 17, 1928 in McFall MO. Margaret graduated from Bethany High School in 1946. She was married to Harley Wooderson from 1946-1990 and had a son, Gary Wooderson. She was married to Jack Crews from 1992-1994. Margaret was active in square dancing with KC Turner Square and Single Promanaders. 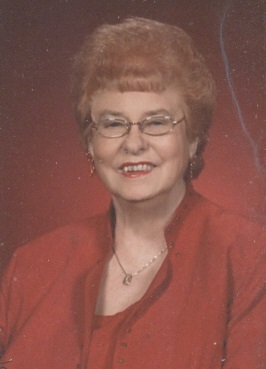 She was a member of Moose Lodge in Sugar Creek, American Legion of Independence MO, and Calvary Assembly of God. Margaret worked for Hospital Health, Austin Living Trust and volunteered at the VA Hospital. She was proceeded in death by her parents Ben & Wilma Daniel, her husband Harley Wooderson, her son Gary Wooderson, her husband Jack Crews, and her brother Billie Daniel. She is survived by her Sister-in-Law Phyllis Daniel of Kansas City, MO, her nieces & nephews Philip & Marianne Daniel of Weatherby Lake, MO and Jim & Kathy Daniel of Oxnard, CA and her great nieces & nephews Chris & Sarah Daniel, Denise & Shawn McGuire, Nolan Daniel & Maxwell Daniel. The family suggests memorial contributions to: Calvary Assembly of God of Kansas City MO or Midwest Hemophilia Foundation of Kansas City MO.